Raki plays Lydia, an employee of the World Parliament who heads up the security division, in charge of finding terrorists and interrogating them or forcing them to accept the microchip. When she meets the family, she immediately separates them and tries to seduce (successfully) Matthew. Once she has successfully divided the family, she attempts to break Mary’s faith in God. Raki Dey is an enthusiastic, hardworking and ambitious person. 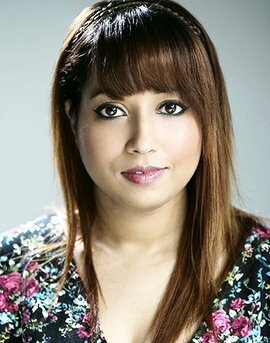 She has successfully worked in a theatrical production London Rocks (2012), 6 short films (2013), and is involved in the feature film The Singing Bird Will Come.